“Hard as a rock” – this AC/DC song is a synonym for that photo. 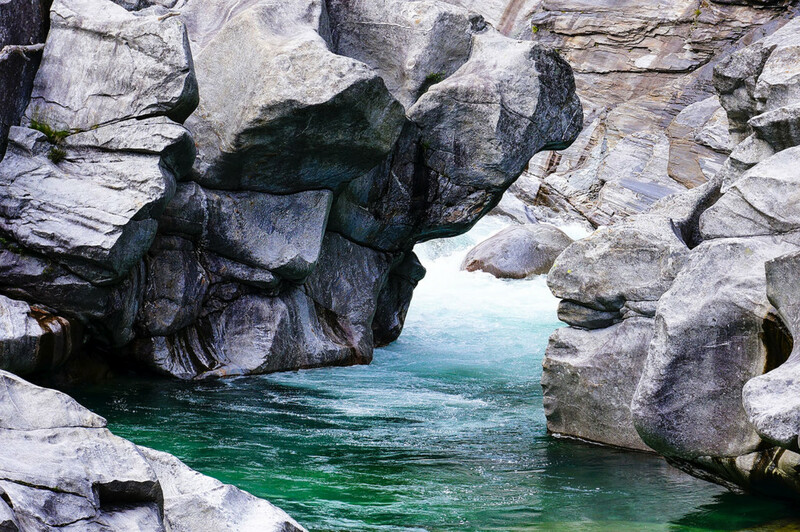 During a tour through Ticino, I saw that crystal clear river which flows in that couloir. I tried to find an opportunity to place my feet into that water for refreshment, but due to the steep, wet rocks, it was too dangerous. I stayed with shooting some photos from a little bridge, where I could place my tripod accordingly.